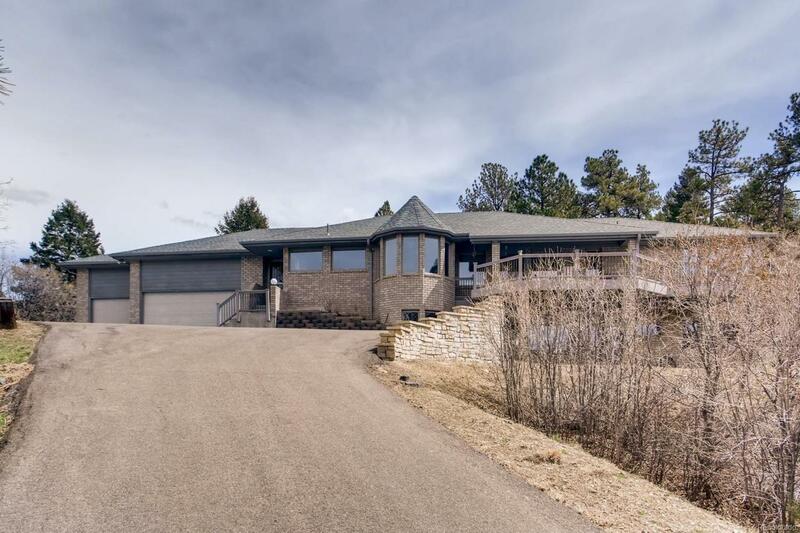 Nestled in the rocks and pines on this picturesque almost 2-acre site, this stunning custom brick ranch in Happy Canyon epitomizes Colorado country living with breathtaking mountain views. Nearly 4000 SF in this walk-out. Four bedrooms and five baths. Main floor has been completely remodeled. Unique hand-scrapped birch floors throughout main level (bedrooms carpeted). 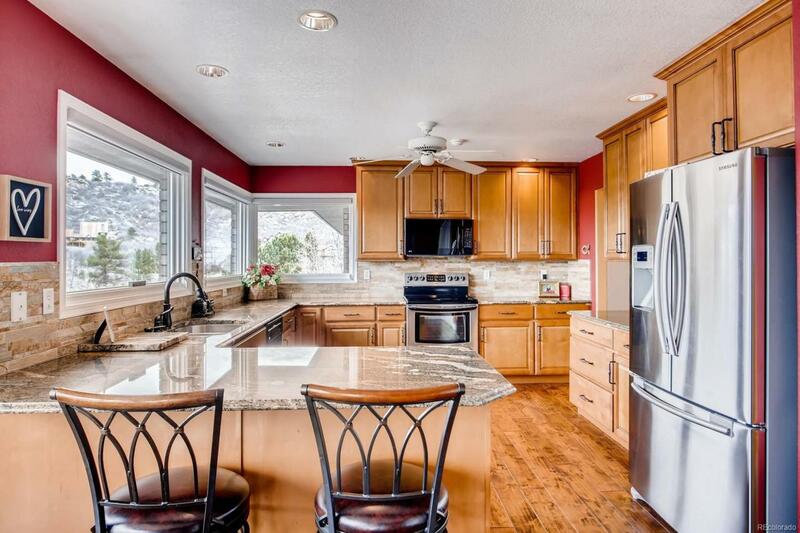 Architectural turret adds interest to the large west-facing kitchen. 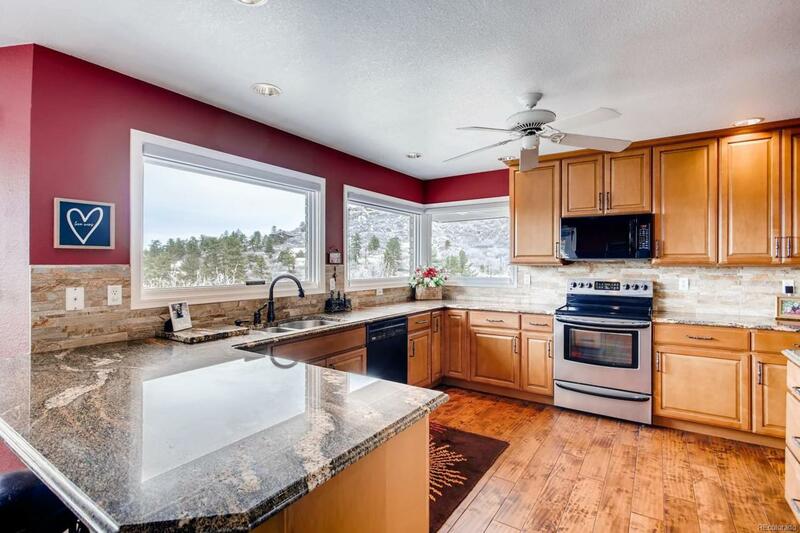 You will want to spend more time in the kitchen with the bank of large windows enveloping lovely mountain views. Finished basement includes HUGE family room, two bedrooms, two baths, and ample storage space. Newer furnace, A/C, septic system, roof. Lots of extras included: Briggs & Stratton all-house generator, central air, natural gas grill, all kitchen appliances, front load, W/D, freezer, pine log bedroom furniture, Yamaha Kodiak ATV. Oversized 3-car garage and shed. Convenient location from the city. 1.7 miles to I-25, 10 minutes to Lincoln. Offered by Mb New Dawn Realty.